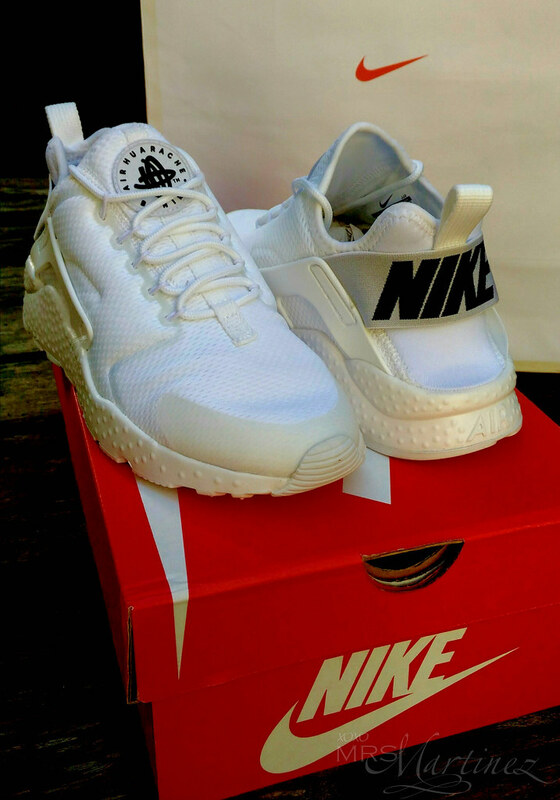 I finally jumped on the so called "white sneakers" bandwagon when I bought a Nike Air Huarache Run Ultra (Womens) at Nike Park, Robinsons Galleria. I have been eying it for the longest time and I was just waiting for the right time to buy it (read: waiting for the shoes to go on S-A-L-E). I don't know if "athleisure" trend is here to stay but WHO cares?! I have one right here, right now! 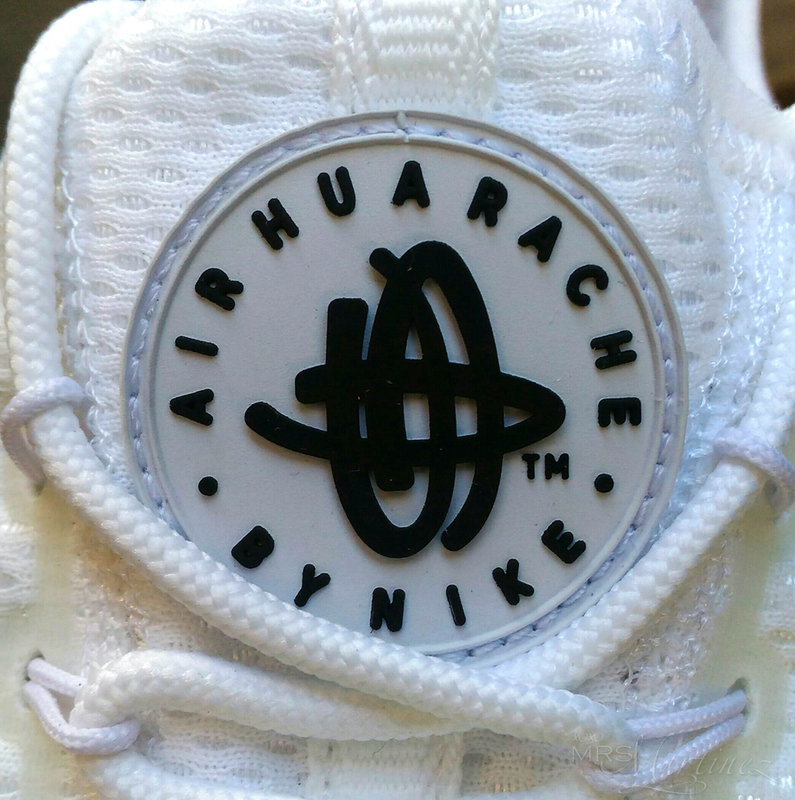 Originally designed by Tinker Hatfield, the classic Air Huarache model was first released in 1991. Tinker Haven Hatfield, Jr. is an American architect/designer of Nike athletic shoes such as Air Jordan, including the world's first "cross training" shoes- the Nike Air Trainer. Did you know that the iconic Nike Huarache line is a water-skiing inspired sneaker? 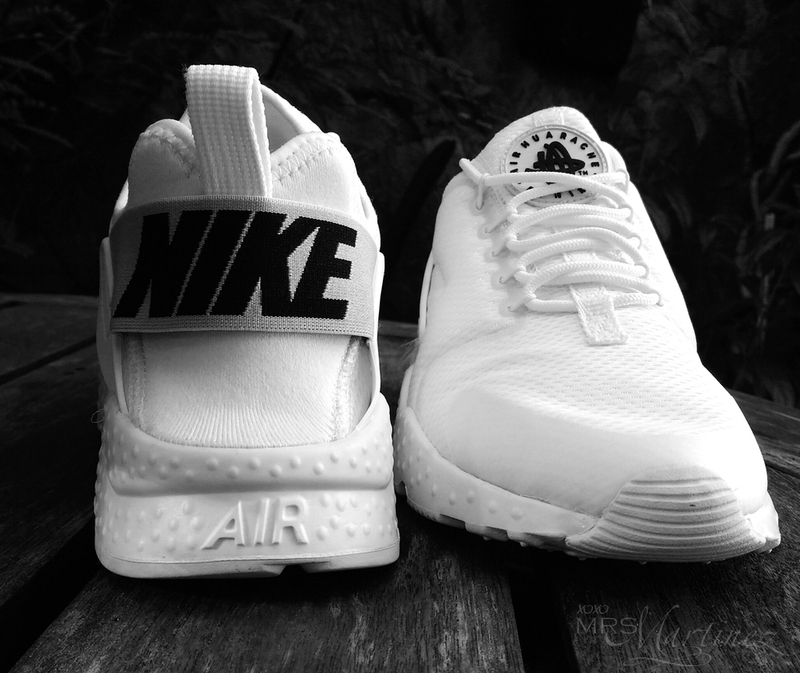 Tinker loved the neoprene fit and used it as an inspiration to create the classic Nike Air Huarache Run. 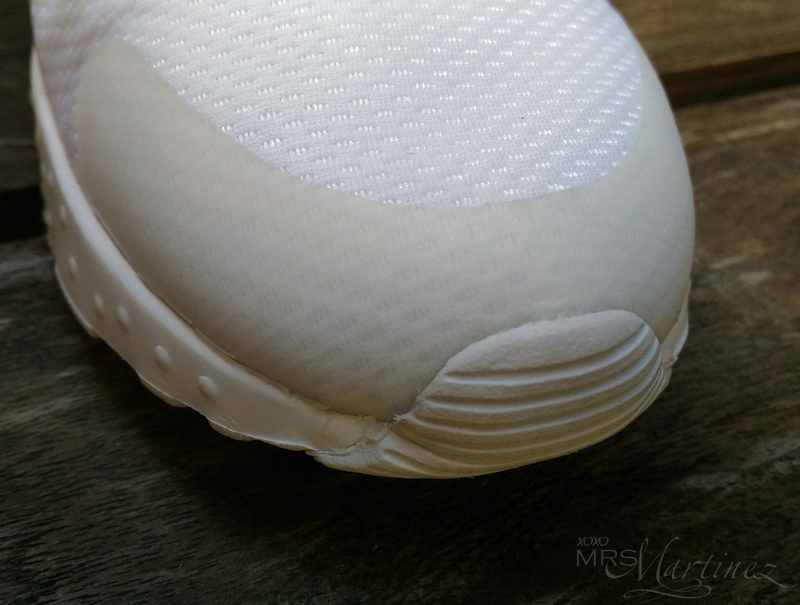 The result is a sleek one-piece upper, seamless molded details, and an ultra-lightweight outsole. Did you know that the word Huarache directly translates into English as sandal. These Mexican sandals are originally of all-leather construction, the thong structure around the main foot is traditionally made with hand-woven braided leather straps. 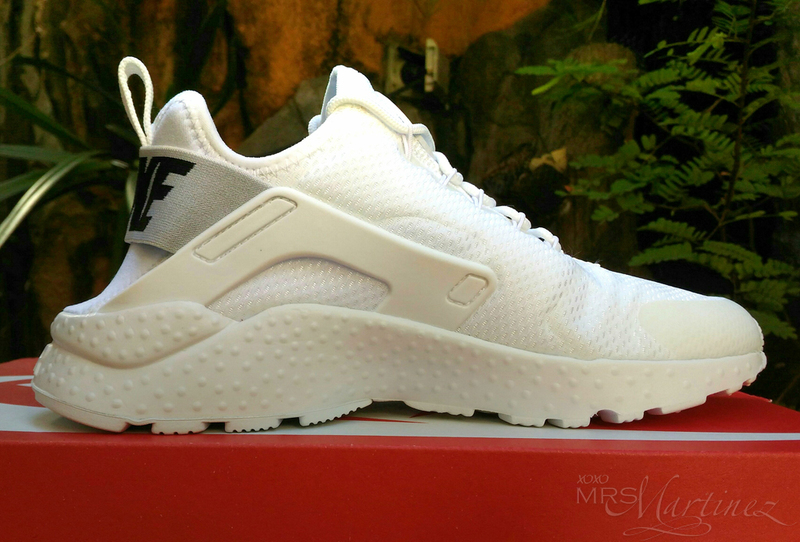 Nike Air Huarache Run Ultra is a womens model. The Huarache Run Ultra model has a slimmed down profile- a neoprene slip-on construction and a lighter outsole unit complete with added ventilation grooves. The added tape on the toecap and bolstered mesh throughout make this Huarache offering one of the most breathable creations to date. 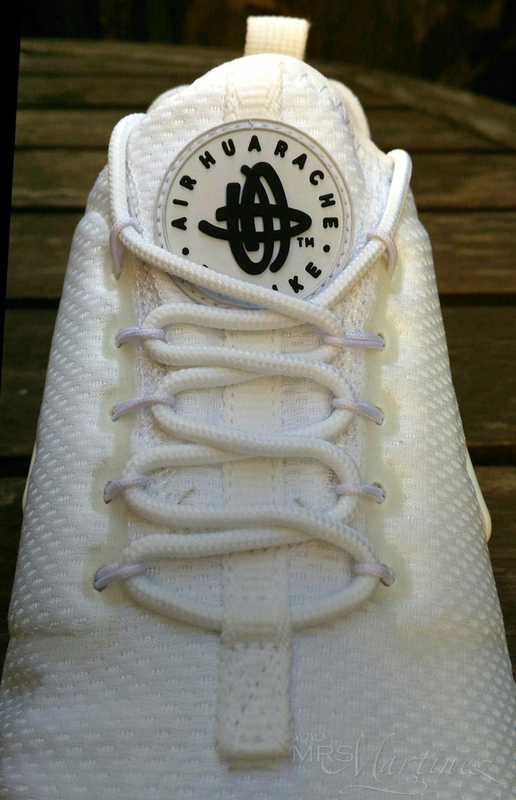 Nike Air Huarache Run Ultra comes with a pair of high quality tubular laces with clear plastic tip. 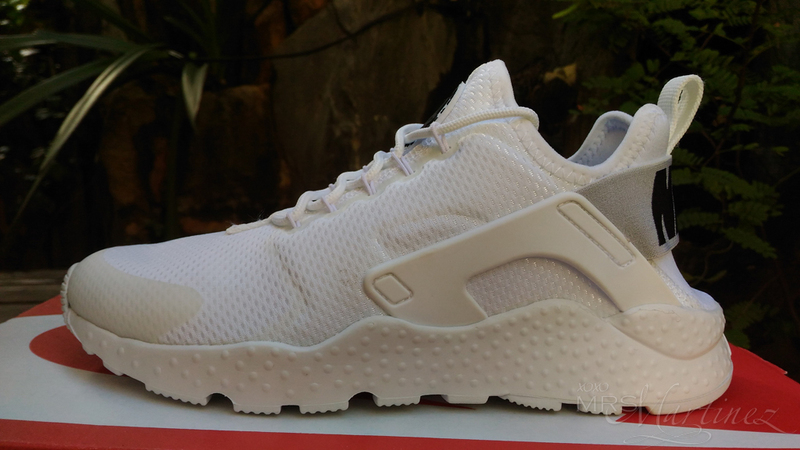 Nike Air Huarache Run Ultra's heel strap provides added support. 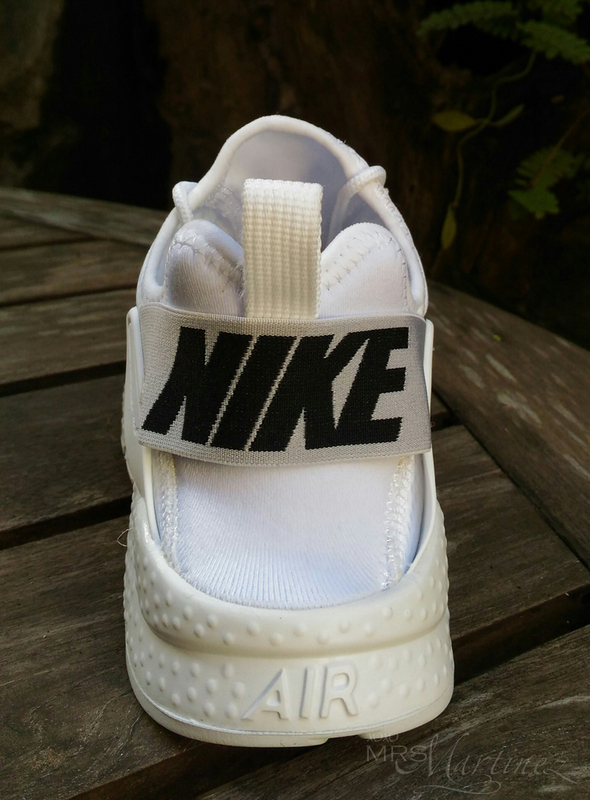 The shoes comes with a lightweight Phylon midsole which has Air-Sole units in the forefoot and heel. 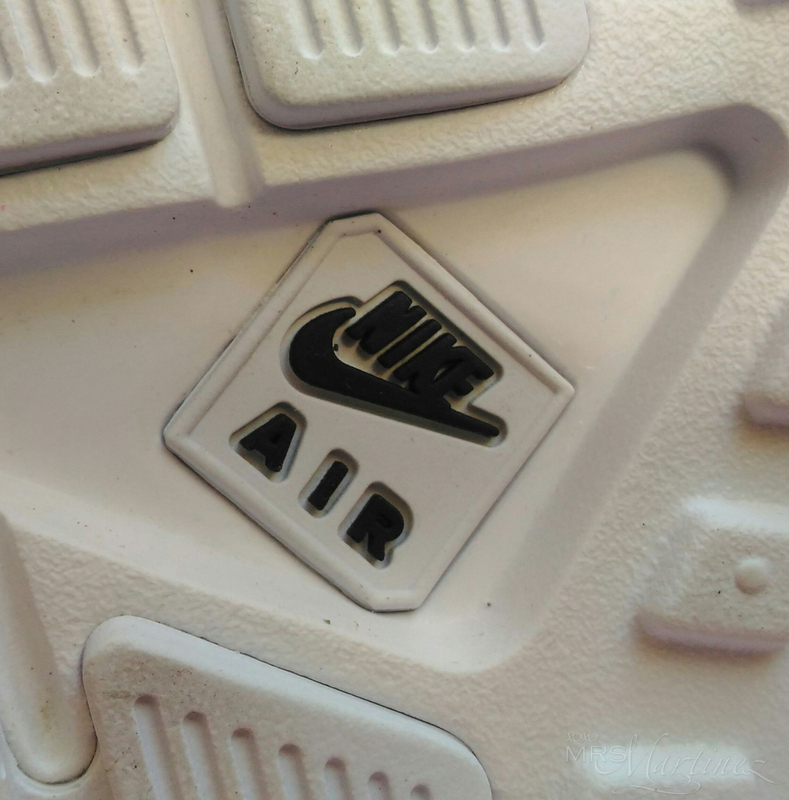 An embossed AIR logo is found at the heel. 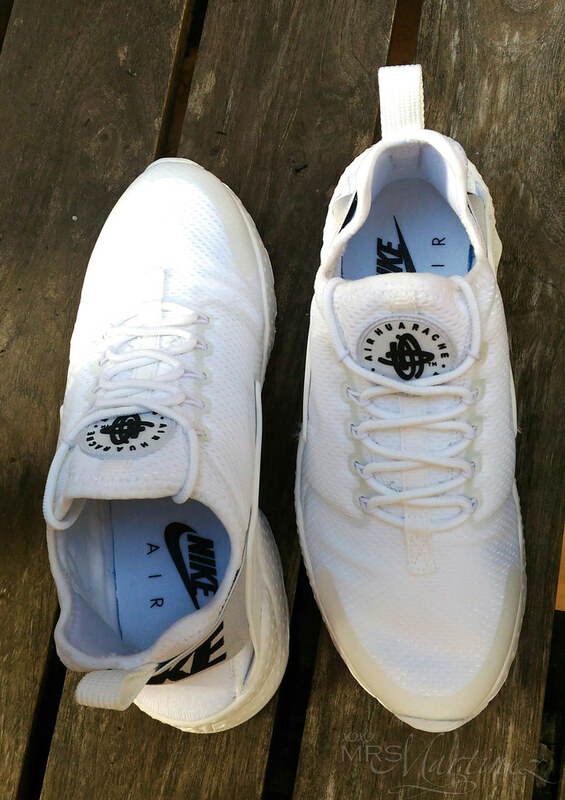 Being 'light on your feet' is how one feels when wearing Nike Air- an air-infused cushioning system technology made possible by an aerospace engineer named Frank Rudy. 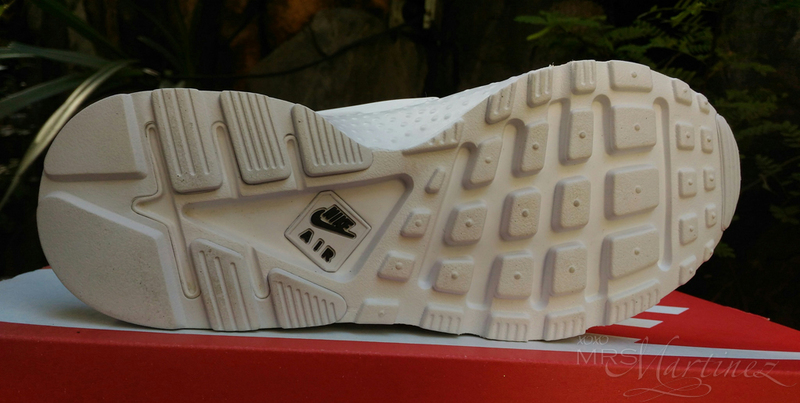 The Tailwind is the very first Air shoe. But it was designer Tinker Hatfield who pushed the envelope with Air technology and urged Nike to make the Air unit visible. These days, the Air shank unit has decrease in size but still serves its purpose- great cushion for feet. One of the most recognizable logos in the world today is Nike's black Swoosh. It has became the company's official logo in the year 1971. It was a graphic design student at Portland State University named Carolyn Davidson who created the simple logo that is fluid and conveys motion and speed. The Swoosh symbolizes the wing of Nike, the Greek Goddess of Victory, from which the company derived its current name. It was patented on June 18, 1971. The Nike Cortez is the first official track shoe sporting the Swoosh logo. 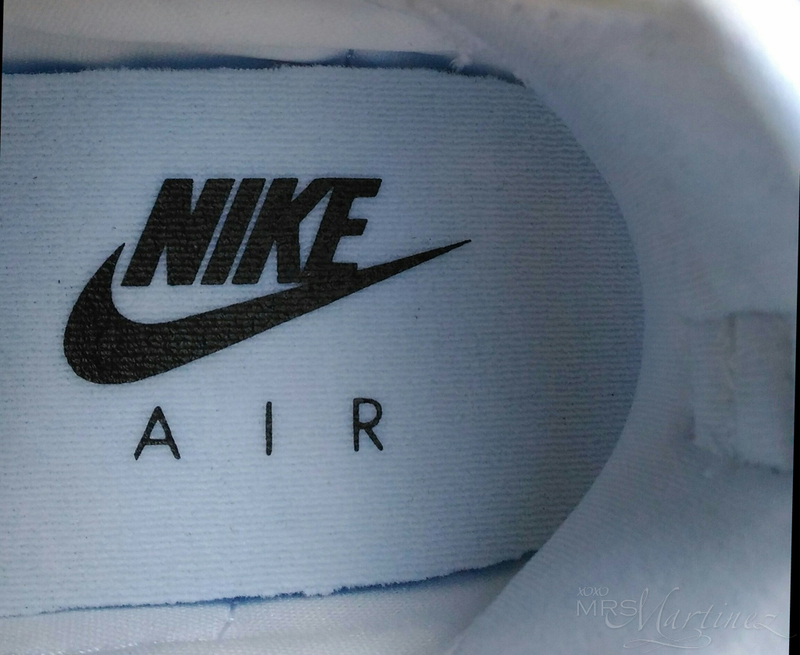 In 1994, Nike added the name NIKE in Futura Bold font (all-caps) above the Swoosh. Nike Air Haarache comes with a soft, neoprene sockliners with blue backing. It is meant to hug your foot for a custom fit. The sock liner inner used technology from waterskiing boots to make a more comfortable fit. On one side of the box, look for the barcode, style name, color, country of manufacture and style number. Nike Air Huarache Run Ultra (Womens) is available at Nike Park located at the 3rd Level Sport Loop, West Lane, Robinsons Galleria. 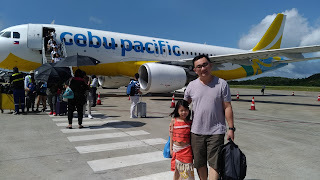 For inquiries, you may call 631 3610. Read about my new Adidas Superstar Slip-On here. Eeep... I bought a pair of Adidas Adilette Comfort Slides aka Adidas Women Swim Adilette Cloudfoam Plus Explorer Slides in Raw Gold. Read more about it here.